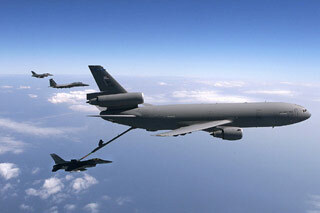 Boeing's KC-767 Global Tanker's refueling system relies on Scot Electrical Products for position & velocity sensing. Provide value added products to our customers through design and manufacture. Scot Electrical Products is the recognized leader in high quality, precision miniaturized electromechanical components, built to exacting specifications within the closest possible tolerances. Scot products are performing reliably in a wide variety of commercial and military projects in the aerospace industry, many other types of military, commercial electronic and electrical applications. Design and manufacture electro-mechanical products for the international aerospace community. Scot Electrical Products is proud to support the US military in the defense of our nation and others. Left is a remote weapons station deployed in Iraq. 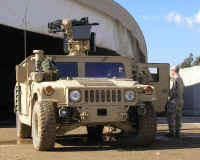 Operated within the protective armor of the vehicle, this unit utilizes stabilization to provide for accurate target acquisition on the move.